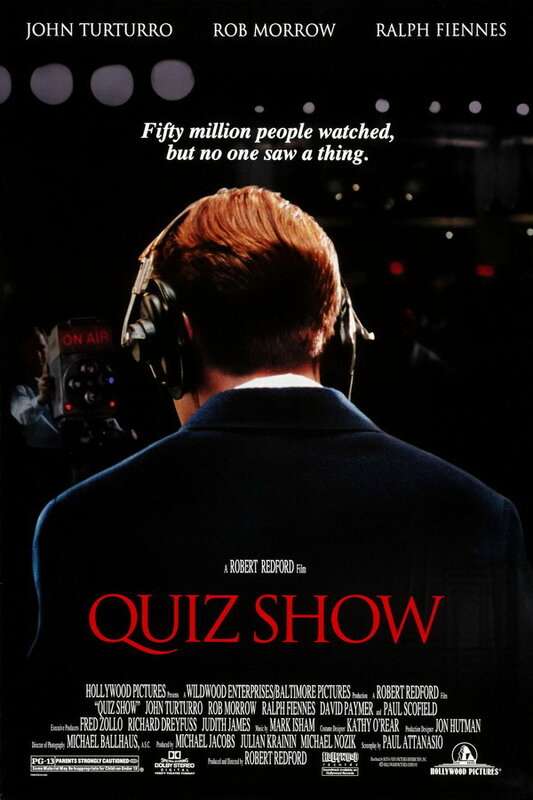 Quiz Show font here refers to the font used in the poster of Quiz Show, which is a 1994 American historical drama movie that chronicles the Twenty One quiz show scandals of the 1950s. The font used for the movie title in the poster is Trajan. Trajan is an all-capitals typeface designed in 1989 by Carol Twombly for Adobe. The design is based on the letterforms of capitalis monumentalis or Roman square capitals. You can find more details about the typeface here. In addition to Quiz Show, Trajan typeface is also used in the following logos, movie posters or album covers etc., including: Batman Arkham Origins, 13 Treasures, LucasArts Logo, Flags of Our Fathers, Fireproof, Define the Great Line (Underoath), The Mummy Returns, Assassin’s Creed, Star Wars Battlefront, Hamilton (musical), October Sky, Minority Report, Black Swan, Yankee Candle Logo, Turning Point USA.